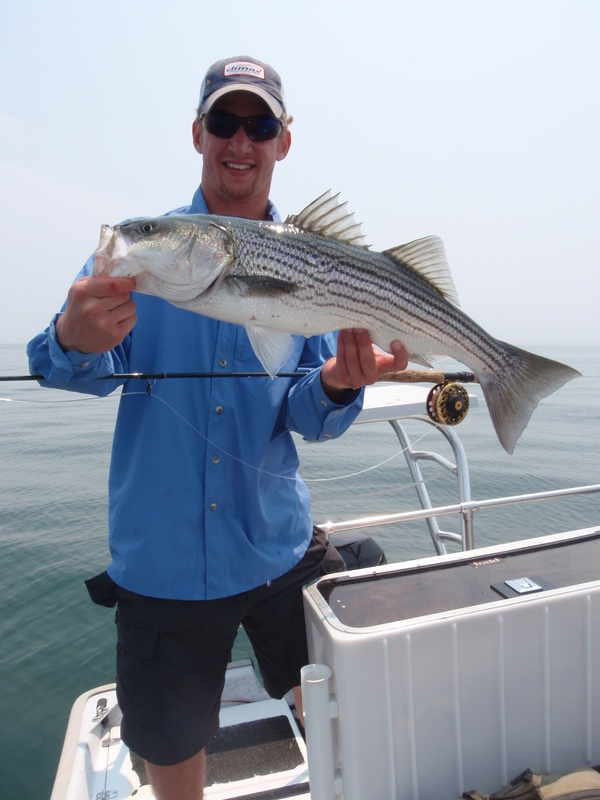 "Enjoy some great striper fishing with Capt. Randy Jacobson." Eight, six, and four hour trips are available for your convenience. Fishing is done aboard our custom outfitted North Coast boat. All tackle is supplied. 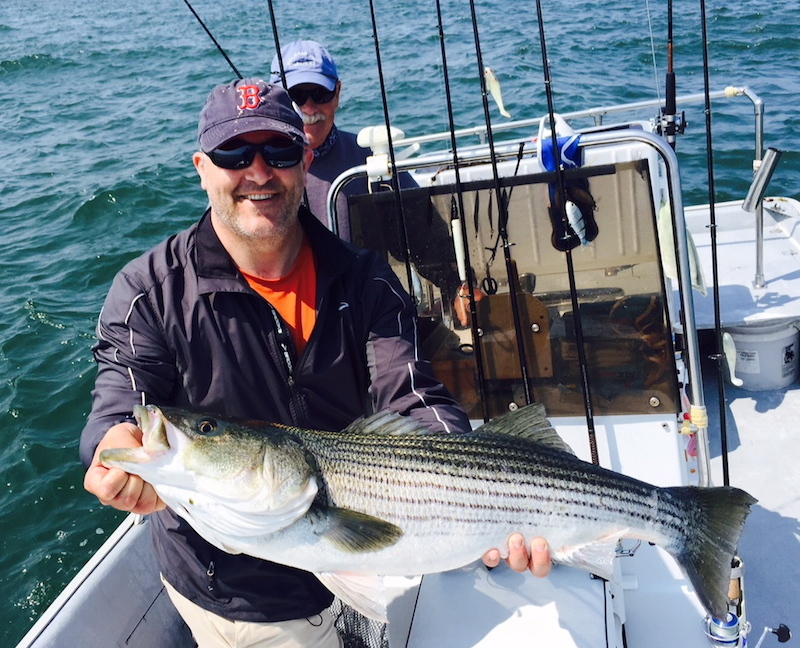 Captain Randy Jacobson fishes the prolific waters of eastern Long Island Sound, including Fishers Island and the famous Watch Hill reefs and rips complex, as well as sight fishing in a variety of flats fishing locations. Striped bass, bluefish, bonito, and false albacore provide fast action for the fly and light tackle angler. Please call or e-mail now! Great fishing and the good company of Capt. Randy Jacobson will make your day on the water a most enjoyable one, and it would be our greatest pleasure to guide your special fishing trip this season.